As volunteer puppy raisers for Canine Companions for Independence, we are well aware of the high standards the organization has for the dogs they place. 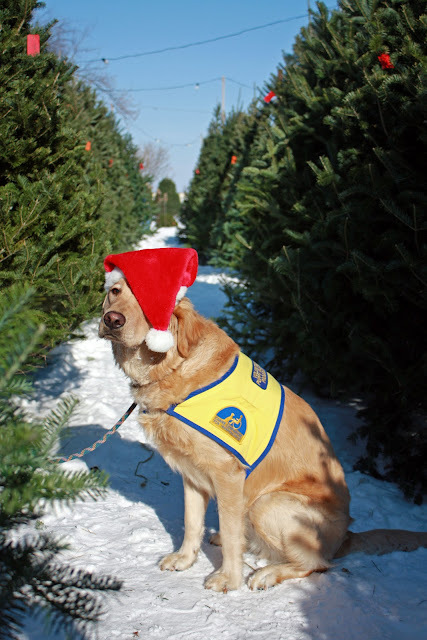 For many of us, it's the very reason we choose CCI over other service dog organization. And while we do everything we can to ensure these fuzzies know all their basic commands and are solid in public, we know there is a chance that the dog may be released from the program. And it may be that the dog has exhibited the most minor of behaviors, such as a hesitation around unfamiliar objects. Something we would tend to overlook in a pet, but is not acceptable for a service dog. A sobering fact is that less than 50% of the pups in training will graduate the program. The rest? Well, they may find another career, such as search and rescue, or change someone's life as a loving family pet. A highly-trained, intelligent, healthy pet that is. We hear, So that pup you're raising, do you think he/she will make it? That's a hard one. My answer? I sure hope so. 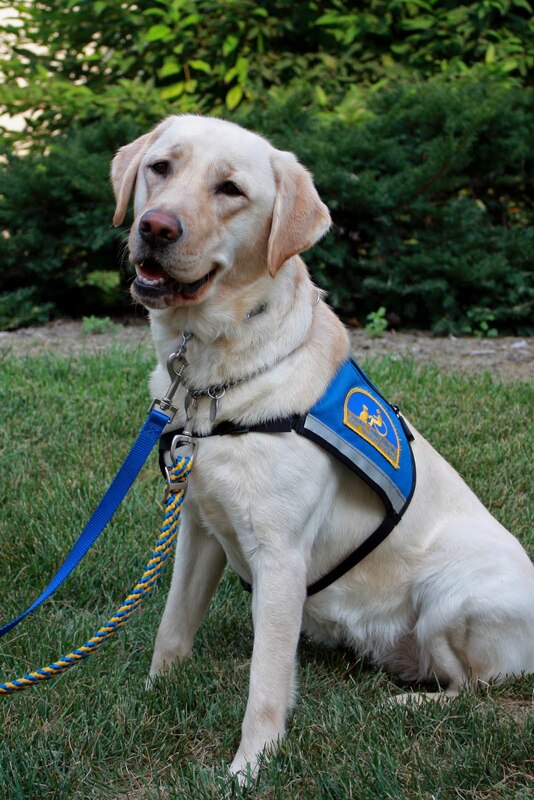 When Inga, our first CCI pup, graduated as a skilled companion dog, we were jazzed beyond description. That she was placed with a young boy, her favorite kind of person, was perfect. Divine, in the purest sense of the word. Also, as puppy raisers, we understand when it's time to say good-bye. When we hand the leash over at graduation, our journey with this dog is done. Our dog, who is not our dog, has moved on to where they belong. On a very personal note, we are especially blessed that Inga's family keeps us updated on their new life with her. We hear magic words like, she brings so much joy to our family. It's been a few months now that Joseph and Inga have been a team and they're now hitting some milestones with her; birthday celebrations, family vacations and such. Inga went on her first airplane ride, rode in taxis and stayed in hotels. Each experience was new to her as we didn't expose her to these as her puppy raisers. But this dog is a professional now and she handled everything as a skilled companion dog should. A nod to her solid nature and the stellar training she received at CCI, as well as credit to her young handler, Joseph. He knows the dos and don'ts of traveling with his companion - how to work as a team. Not a first for Inga, though, was a trip to the beach. We had traveled by RV to Myrtle Beach for her first experience snorting sand when she was a pup. We hear she is still true to her water dog nature. 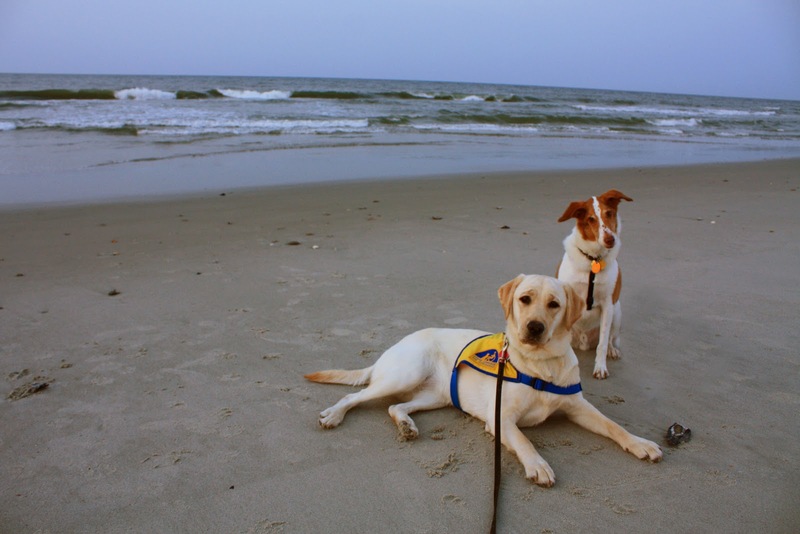 Inga enjoyed the seashore and ocean vacation time with her family. 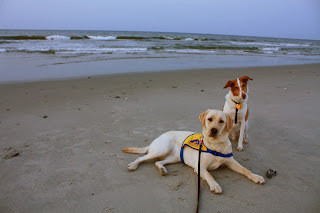 For a fuzzy memory, here's a couple of puppy photos from our beach trip during the summer of '09. Thanks to Inga's handler, Joseph, and his family for permitting me to share this update on her working life.